A new assistant dean who is a former scientist at a renowned neurology research and patient care center and 13 new ground faculty members with impressive pedigrees of their own are among those teaching the nearly 2,900 students in Grand Canyon University’s College of Science, Engineering and Technology (CSET) this fall. CSET, GCU’s second largest college behind the College of Nursing and Health Care Professions (with nearly 3,300 students), needed the new faculty to help keep pace with rising enrollment. Of the 2,900 students, more than 1,800 are enrolled in biology said Dr. Jon Valla, an assistant dean and associate professor who joined the college in June. Valla, who most recently worked at Midwestern University, earned his doctorate in psychology at the University of Texas at Austin. His resumé includes seven years as a staff scientist with the Department of Neurology at Barrow Neurological Institute in Phoenix, and he has written dozens of peer-reviewed publications, abstracts and research papers. As assistant dean, Valla is responsible for overseeing about 40 biology, chemistry, forensic science and exercise science employees. He is also playing a role in helping GCU transition into a strong research facility. Plans to create a stronger research presence at GCU are in the information gathering phase, but it is a priority for the University, he said. “There is a push to get this done and get this ball rolling,” Valla said. Dr. Randy Boyles, who teaches biology, genetics, microbiology and exercise science, earned a doctorate and bachelor’s degree in biology from the University of Nevada. For more information, click here. Dr. Tim Chen, who teaches physics, earned a doctorate in physics from the UCLA, master’s degrees from the UCLA and California State University, Northridge, and a bachelor’s degree in physics from the Zhejiang University in Hangzhou, China. For more information, click here. Dr. Karen Denzler, who teaches microbiology, earned a doctorate in molecular and cellular biology and a bachelor’s degree in microbiology from Arizona State University. For more information, click here. Dr. Anju Dubey, who teaches genetics and human anatomy and physiology, earned a doctorate in biological sciences from SMU. For more information, click here. Gail Francis, who teaches biology, earned a M.S. degree from the University of Texas Health Science Center and a bachelor’s degree in biochemistry from the California Polytechnic State University. For more information, click here. Dr. Darien Hall, who teaches biology, genetics and human anatomy and physiology, earned a doctorate in neuroscience from the University of Illinois and bachelor’s degrees in molecular and cellular biology and psychology at the University of Arizona. For more information, click here. Aprill Hite, who teaches biology, earned a M.S. in biology from USC and bachelor’s degrees in biochemistry, molecular biology, and chemistry from the Illinois State University. For more information, click here. 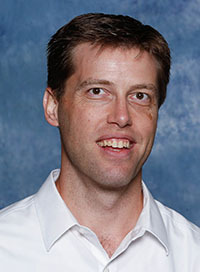 Dr. Charley Langley, who teaches chemistry, earned a doctorate in physical chemistry from the University of Wisconsin and a bachelor’s in chemistry from Utah State University. For more in information, click here. Dr. Kathryn Meloche, who teaches chemistry and probability and statistics, earned a doctorate in integrated biomedical science from Ohio State University and an M.S. in chemistry from Youngstown State University. For more information, click here. Dr. Ed Ramirez-Reinat, who teaches microbiology, earned a doctorate in microbiology from ASU, an M.S. in microbiology from ASU, and a bachelor’s degree in microbiology from the University of Puerto Rico. For more information, click here. Joseph Smith, who teaches a Team Innovation Experience lab and a Success in Science, Engineering and Technology course and lab, earned an M.S. in engineering from the University of Tulsa and a bachelor’s degree in mechanical engineering from the Oklahoma Christian University of Science and Arts. For more information, click here. Dr. Stephanie Stang, who teaches human anatomy and physiology, earned a doctor of chiropractic degree from the National University of Health Science. For more information, click here. Dr. Mel Trombley, who teaches engineering and technology, earned a doctorate of philosophy in electrical engineering, an M.S. in electrical engineering, and a bachelor’s in electrical engineering from Michigan Technological University. For more information, click here.